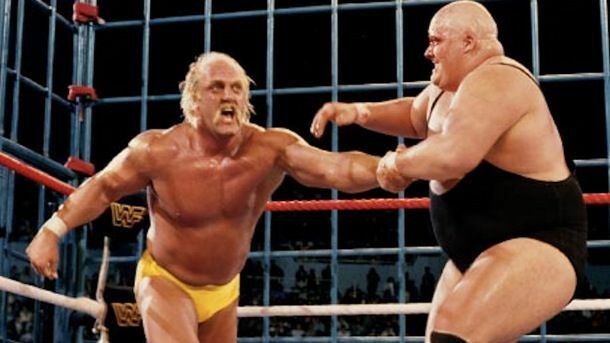 King Kong Bundy will reportedly go into the WWE Hall of Fame in his home state. Bundy will be showcased on tonight’s Monday Night’s Raw, as the first individual named to the 2013 WWE Hall of Fame. The event will take place prior to the WrestleMania at MetLife Stadium in North Jersey in April. He started wrestling in the American Wrestling Association and the National Wrestling Alliance. He would eventually make it to New Japan Pro Wrestling and the World Wrestling Federation, now World Wrestling Entertainment, in 1985. Early in his career, he was managed by “The Mouth of the South” Jimmy Hart. In the very first WrestleMania, he beat S.D. “Special Delivery” Jones in nine seconds. It was the shortest match in WrestleMania history until 2008 when Kane defeated Chavo Guerrero in eight seconds. He left WWF in 1998, before returning in 1994. When he returned, he was part of the Million Dollar Corporation, led by Ted DiBiase. He left WWF for good in November of 1995. He currently lives in Glassboro, New Jersey. And he’s a 1974 graduate of Washington Township High School in Sewell, New Jersey.